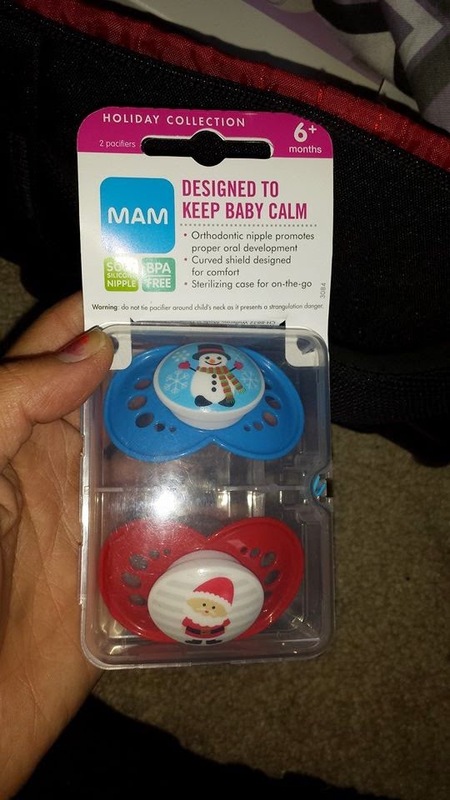 MAM Baby has some new cute Christmas designs on their pacifiers now. MAM Baby is well known for their pacifiers and other products that they sell on their website, as well as in store. I chose the Christmas themed pacifiers to review this time around for my Christmas Guide, and hope that this baby will like pacifiers from time to time. MAM pacifiers are great to have for on the go use or just lounging around at home with your little one. These particular pacifiers are made for babies ages 6 months and up. I won't be using these for a good while as I'm not due until June 2, but they are always good to have ahead of time. I love holiday and festive designed pacifiers, they just are cuter in the look. These are good for 6 months and older, as you can see with the shape of the pacifier and sometimes it just helps soothe little ones.